LEGAZPI CITY (Bicol Standard)--The problems of the Albay evacuees will be over in a week. This was the promise of President Rodrigo Duterte, who visited the province during the Mayon Eruption briefing Monday afternoon. Duterte designated Atty. Francis Tolentino, who has roots in Albay, as the coordinator of efforts for evacuees. Initially, the President turned over a P20-million check to Gov. Al Francis Bichara for food and sanitation, which Duterte said is "very important." This was followed by a P5-million check which was handed by Philippine Charity Sweepstakes office Board Director Sandra Cam to the governor. 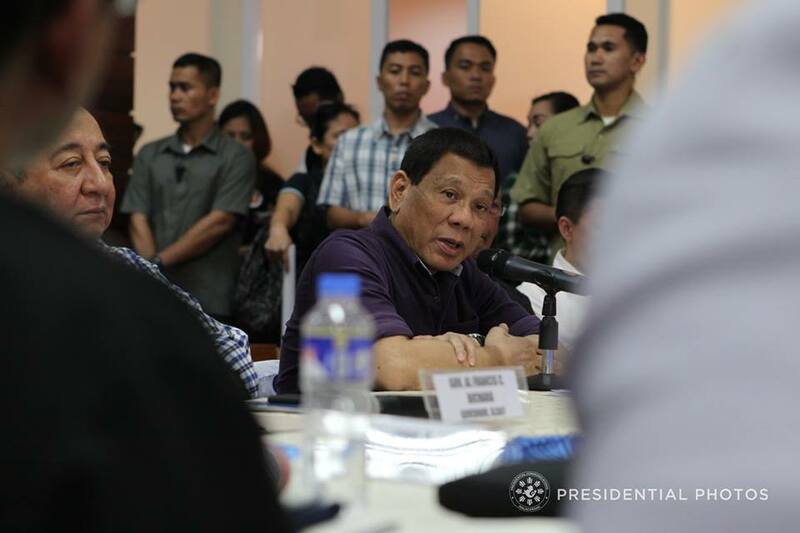 Duterte explained the P25-million was insufficient, so an additional P25-million fund was turned over to the provincial government. "An additional P50-million fund will be turned over," the President announced shortly after. Duterte added he wants to address the concern on toilets. At present, an additional 1,222 na toilets is needed for the 83,000 evacuees ngani to meet the ideal ratio of 1:50. The current ratio, he said, is 1:200. Because of this, the President ordered the Department of National Defense and the Armed Forces of the Philippines to look for portalets to bring to Albay. Meantime, to assist the farmers whose lands were destroyed, the Department of Agriculture alloted a P5-million emergency loan. Each farmer will be able to borrow P5,000 for personal needs and P5,000 to purchase planting material.